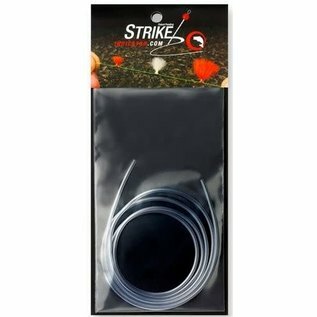 Strike Indicator Tubing - Tight Lines Fly Fishing Co. The tubing package comes with 3 feet of the ultimate material to make the special sleeves for the indicators. There are all kinds of materials out there for making indicators. This is the best we have found after years of research and development. 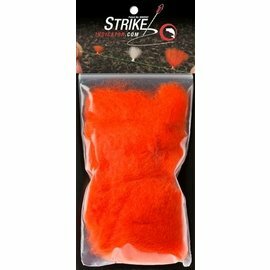 This tubing works in warm or cold conditions and is specially manufactured to meet the demanding conditions fishermen find themselves on the water. 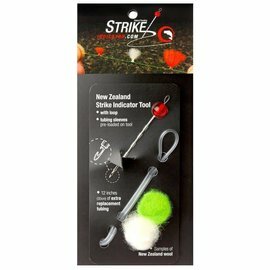 It provides the perfect size and tension for the indicators to hug the fishing line and yet still move when you want it to. Carefully engineered, it will provide you with optimal size and adjustability. We give you plenty – probably a lifetime supply – and you will not find a better system to meet your strike indicator needs.